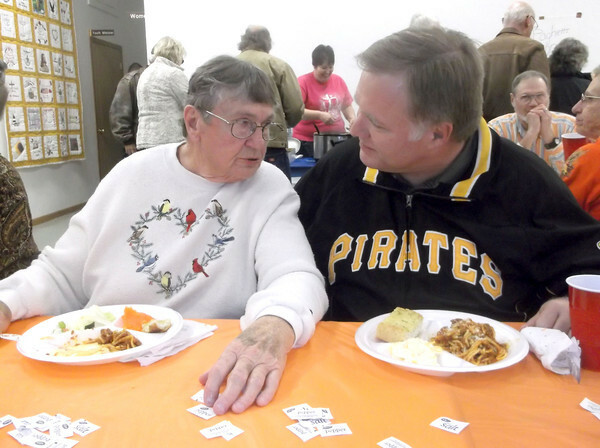 Ina Abendroth and Paul Black visit during a spaghetti supper benefit at St. Elmo Christian Church. Abendroth was one of several people left homeless by severe storms in November. Black is the director of communications for the Illinois Great Rivers Conference of the United Methodist Church.